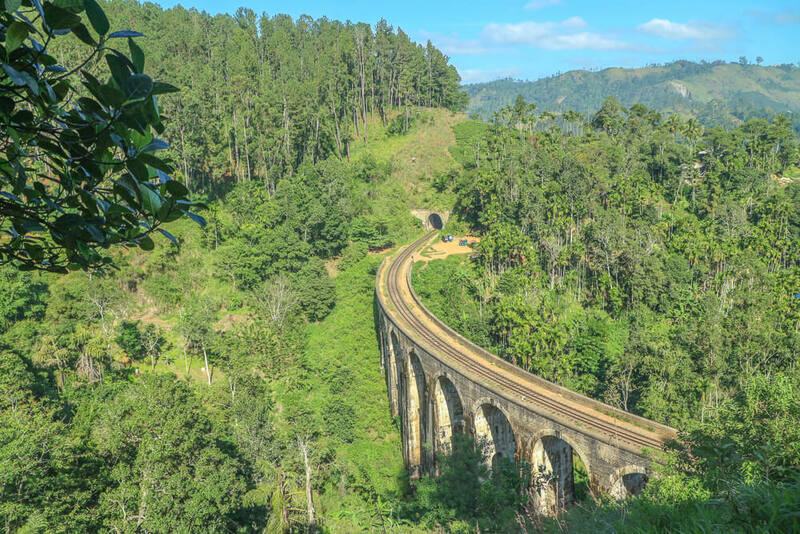 The small town of Ella is the perfect stopover when travelling through Sri Lanka’s hill country. 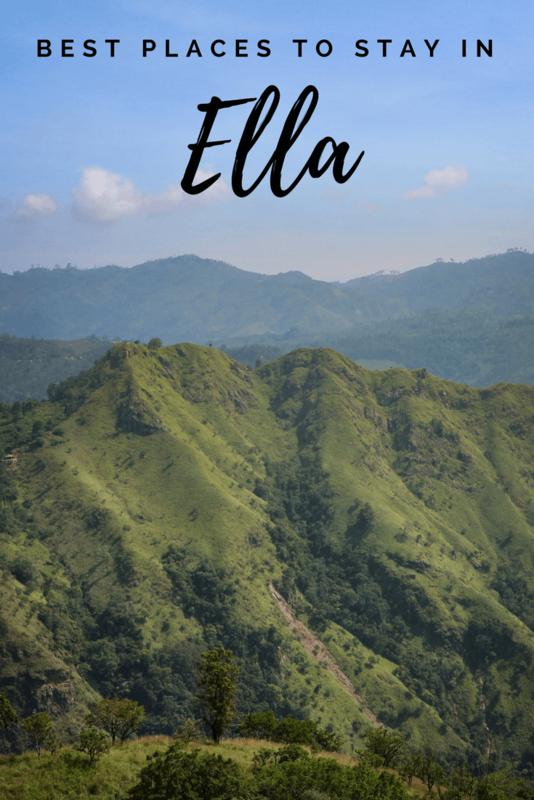 With beautiful nature all around and a number of hikes to do in the area, there’s no shortage of things to do in Ella. If you’re planning a trip to Sri Lanka, Ella is the perfect next stop after visiting the tea plantations of Nuwara Eliya. Find out everything you need to know about the town with this Ella guide. Having become a popular destination with travellers in Sri Lanka, Ella has plenty of accommodation and hotels available whether you’re on a tight budget or looking for luxury. There are a number of great deals for all budgets on Agoda, but for more detail make sure to read our guide on the best places to stay in Ella. Almost ready for your trip to Sri Lanka? Check out our guide of what to pack for Sri Lanka to make sure you don’t forget any essentials for your trip! Will Guest Homestay is the perfect option for budget travellers. The property is run by an extremely friendly and helpful family, who are happy to help in any way they can – whether it’s renting a motorbike or doing your laundry. Although more luxurious properties charge a premium for some of Ella’s best views, you’re able to see Ella rock and little Adam’s peak from here without paying more. Another benefit is that the showers have hot water – which can be hard to find when travelling on a budget in Sri Lanka. Rooms are spacious, clean and have a fan, which is enough to keep you cool in the hill country climate. Although the property is a slight walk from the main street, a tuk tuk should only cost around 150 rupees if you don’t fancy walking! There’s also free wifi at the property too. Prices start from $30 USD (4,600 rupees) per night, which is great value for one of Ella’s best budget options. Click here for Agoda’s latest prices at Will Guest Homestay. Another budget homestay with fantastic views of Ella Rock, Royal Vantage has the added benefit of being closer to the centre of Ella – just a 10 minute walk from the train station. The family that run the property are extremely attentive and friendly, ensuring your stay exceeds expectations. Ella’s main street is just a few minutes walk away, meaning there are plenty of bars and restaurants easily accessible. Rooms start from $32 USD (5,000 rupees) per night, which includes a lovely homemade breakfast. Like many other properties in Ella, rooms are equipped with a fan as air conditioning isn’t necessary in the area’s cooler climate. Click here for Agoda’s latest prices at Royal Vantage. Should you prefer to have air conditioning available, consider booking a stay at Misty Hills Ella Resort. You’ll have your own balcony/terrace to enjoy Ella’s wonderful nature, which makes it a lovely place to relax. The property is situated in a peaceful area, a 10-minute walk to the centre of Ella. Alternatively, the short tuk tuk ride to the centre will only cost around 200 rupees. There’s also a restaurant on site if you don’t feel like going out for dinner on any night during your stay. We’ve seen discounted rates on Agoda from $57 USD (8,900 rupees) per night, although prices may be higher or lower than this. Click here for Agoda’s latest prices at Misty Hills Ella Resort. 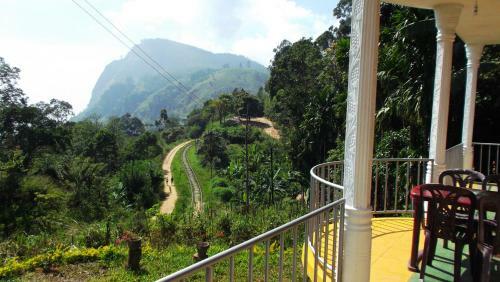 Another option with the comfort of air conditioning, The One Ella is perfectly located near the start of the Little Adam’s peak hike. With fantastic views overlooking the surrounding hill country and Ella Rock, a stay here is one you won’t forget in a hurry! There are only 2 rooms in the property, making it a lovely spot to enjoy some peace and quiet if you so wish. The owner will make sure your stay is completely hassle free – whether it’s arranging a transfer to your next destination or offering recommendations of where to eat. Rooms start from around $80 USD (12,500 rupees) with breakfast included in this price. Click here for Agoda’s latest prices at The One Ella. One of Ella’s most exclusive properties is the Secret Ella Bungalow. One of the property’s main highlights is the location with fantastic views overlooking the famous nine arch bridge. On top of that, the property has a wonderful infinity pool – perfect for a dip after a day of hiking. Although the pool isn’t in the pictures on Agoda, it can be seen on the home page of their website. Staff are extremely friendly and only add to the experience by making your stay as comfortable as possible. If you’re looking to treat yourself to a secluded getaway, this really is the place for you! We’ve seen discounted rates on Agoda from $135 USD (21,000 rupees) per night, although prices may be higher or lower than this. Click here for Agoda’s latest prices at the Secret Ella Bungalow. If you’re hoping for a stay filled with incredible views, then Zion View Ella is a perfect match for you. The spectacular scenery is what makes this property so special, with the restaurant and rooms looking out towards Ella Rock. Although it can be a steep walk up to the property, tuk tuks are available if you’d prefer to avoid the walk. The property’s location away from the main road makes it peaceful and a wonderful place to relax – especially as there’s a spa on site! If you don’t have time to hike Ella rock or little Adam’s peak, a stay at Zion View Ella means you’ll still be spoilt with impressive views. We’ve seen discounted rates on Agoda from $107 USD (16,600 rupees) per night, although prices may be higher or lower than this. Click here for Agoda’s latest prices at Zion View Ella. Like our recommendations for the best places to stay in Ella? Pin them!